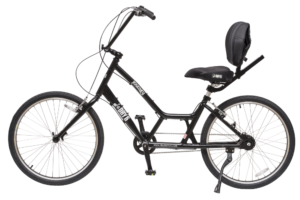 From 7 speeds to 24 speeds and weight capacities from 250 pounds to 400 pounds, Day 6 makes bicycles that fit you and your lifestyle perfectly. 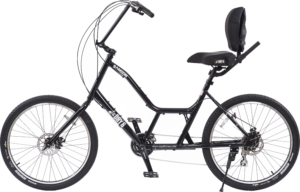 Click bicycles below for specs and features. 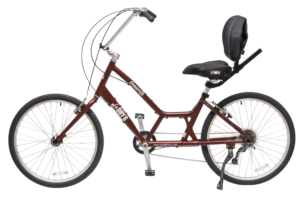 Our most economical bicycle with one shifter and a rear derailleur for simplicity. 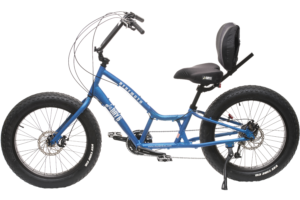 Fantastic bicycle for flat to moderate hills and trails. 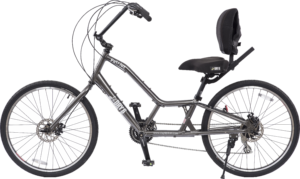 Our most popular bicycle, the Dream24 has 24 speeds to take you almost anywhere. A popular bicycle for anyone not comfortable using a derailleur, this Day 6 is equipped with a low maintenance, easy shifting internal 7 speed hub. Samson’s little brother. The Patriot is for people who want more than a Dream24 or who want to convert it to electric. 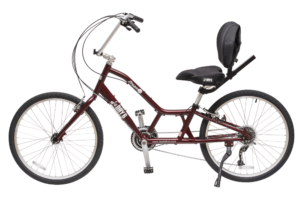 All the legendary comfort and ergonomics of a Day 6 with the strength to carry riders up to 400 pounds! Day 6 version of the fat tire bicycle. Already own a Day 6 and want to upgrade to an electric? Click below to view features and pricing of the lithium batteries and our powerful, reliable Bafang Mid Drive Motor.